Welcome to Chatsworth Bukit Timah. We are a very special campus, in a unique location with outstanding students from all over the world. From our roots on beautiful Emerald Hill off Orchard Road (Secondary) and the East Coast (Primary) to our combined home amidst the lush tropical forest, we welcome you to our Bukit Timah campus! One of the greatest assets that we have as a school is our students, teachers, and our community. Regardless of which of the more than 50 nationalities we have on campus that you are from, we welcome you to our school, and we are confident that you will feel welcome as a new family at Chatsworth. We moved to this site in the summer of 2018, and have been renovating ever since. Our renovations and upgrade work will continue for the immediate future, and outside of classroom instruction timing using school holiday periods for the bigger work. It’s an exciting proposition to change your school, and we understand that. We are here to help make your children’s transition a little easier. Please let us know how we can help your family assimilate happily into our school culture. 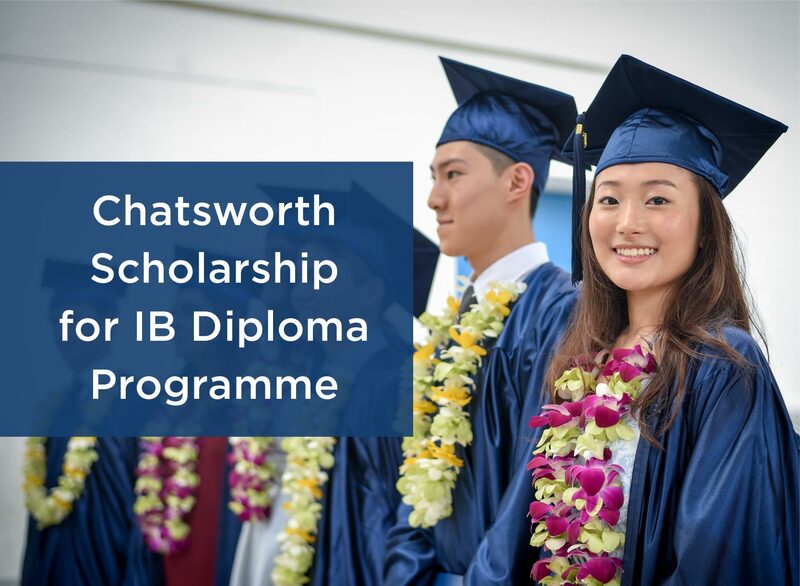 We offer the IB Middle Years Programme in Year 7 to 11 (Grades 6-10), and the IB Diploma Programme and WASC accredited Chatsworth High School Diploma in Year 12 and 13 (Grades 11-12). At Chatsworth, we provide a stimulating and dynamic environment in which the principle of "learning for life" is a reality. We help students to appreciate and value the differences between individuals and that everyone has unique talents, skills and potential which should be developed. We prepare our students for tomorrow's ever-changing world. I strongly recommend new students to get involved as quickly as you can, in activities at school, starting with joining your classmates in the basketball court before / during / after school to shoot hoops, or in the pitch to play soccer (or football), or one of our teams, or DanceSport, our Vocal Ensemble, Model United Nations, Peer Counseling - anything at all to connect with your new schoolmates. That certainly helps in a quicker integration into our community. We look forward to the opportunity to watching you develop into whatever great person that you want to be.